Featuring an 1800R curvature, the EX3200R takes viewing to cinematic heights, wrapping your range of vision with lifelike action, creating the perfect immersive entertainment experience for the movie enthusiast. Don't miss out on the details of fast-moving action. Enjoy movies play seamlessly with EX3200R's high refresh rate of 144 Hz. 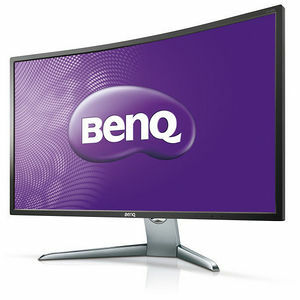 BenQ's Flicker-free technology eliminates flickering at all brightness levels for a comfortable viewing experience. BenQ Low Blue Light Technology is designed to filter out harmful blue light, effectively diminishing eye fatigue and irritation.